i was long time not here. i'm an old member of gpspower. Only the old users recognizes me. This software from me and cracked. you cannot find this software anywhere. See Google..
don't work than delete this line and save.. Tested on differend chinese device's. Working withoud problem. Last edited by JOYTURKX; 15th April 2019 at 07:07 PM. I thank you, but this executable is a big lie. 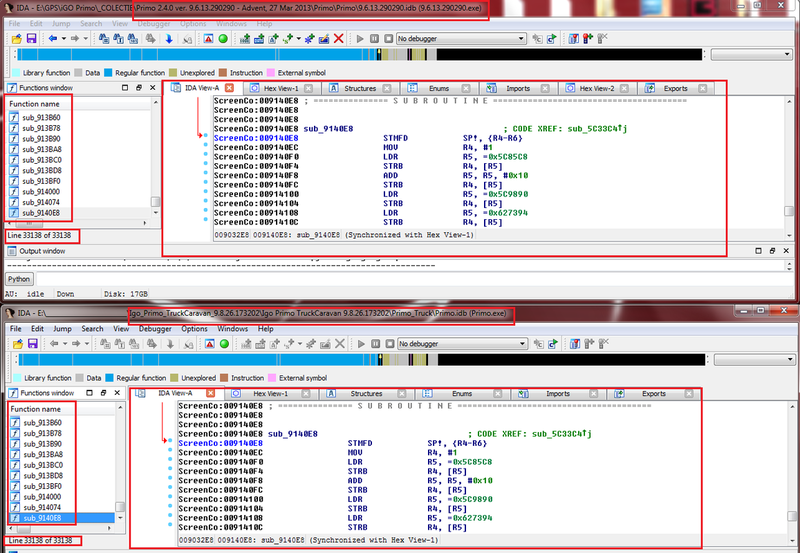 It is the hex editor modification of the executable Primo 2.4.0 ver. 9.6.13.290290 - Advent, 27 Mar 2013. The same functions, subroutines, number of lines, the same file size. Where is Generic_GPS.ini. In data.zip is not found. Last edited by Boki_Srb; 16th April 2019 at 07:53 AM. I try to find where is the startup image, but I cannot found it. Can anybody tell where is it? Thanks! Last edited by Boki_Srb; 16th April 2019 at 10:24 AM. Last question: Wich version of 7zip or WinRAR can be use to edit a file in the archive? Use Total Commander (or Double Commander - open source), it is easiest.